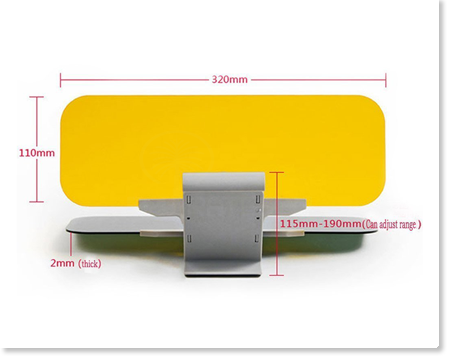 Clip-on and rotatable anti-glare sun visor for all types of cars. Durable solar panel filters up to 99.9% of harmful rays. Dark glass panel: filters out sun shine by day. Yellow glass panel: filters beams of light from opposite cars by night. Early morning glare and afternoon sun make it difficult, and dangerous, to drive...you can barely see a thing! See-Clear Visor is the new visor that stops blinding sunlight and dangerous glare when you're driving. The visor simply slides onto your existing visor, no tools or assembly required. 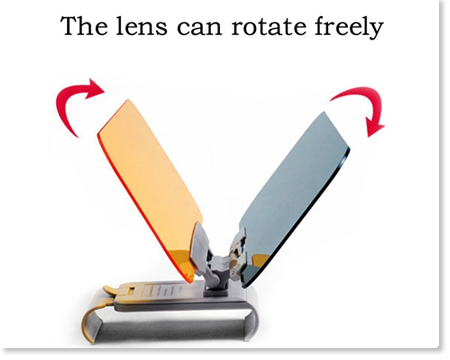 Drop the visor down to block the blinding sun, flip it back up for easy storage. 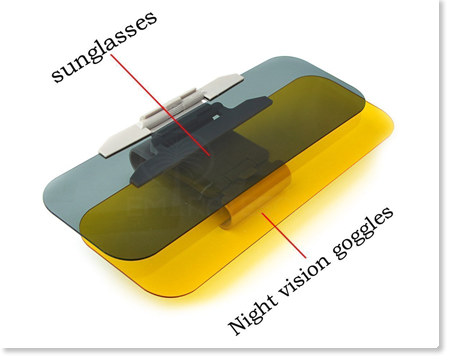 Regular visors block your view but this visor is made of clear acrylic so you can see right through without being blinded. 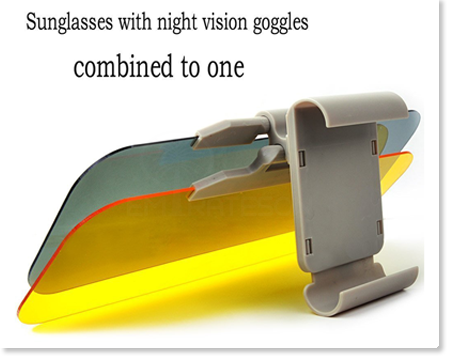 See clear visor even be used to reduce glare from on coming headlights at night!